LLLT is an authorized safe hair loss treatment for male & female pattern hair loss respectively. The laser energy used to stimulate hair growth is visible in the red light spectrum and is used in promoting hair growth. 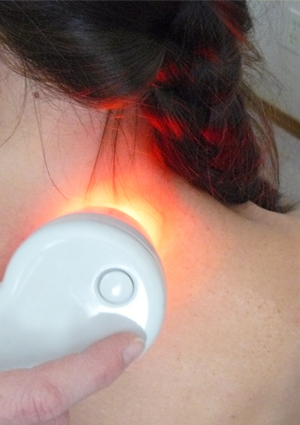 This process is called Low Level Laser Therapy (LLLT). LLLT is a non-chemical and non-invasive hair loss treatment that is being used worldwide. It’s sometimes included in a broader definition of ‘Phototherapy’ called Low Level Light Therapy, where the light emitting device may be a laser or light emitting diode (LED). At Dermalife, you can achieve the desirable hair with the use of low Level Laser Therapy. Medical experts specialized in hair treatment agree that LLLT is best effective when used based on the correct diagnosis of its cause and right dose for sufficient time. It is also observed that the overall condition of hair is improved in LLLT treated area. Typically 3 to 4 sessions per week for 20 to 25 minutes is the suggested treatment frequency, and results usually take approximately 4 to 6 months. Contact Dr. Gaurav Garg for suitable recommendations and experience the best low level laser therapy in Delhi.